Girl Kuripot Girl Kuripot: FREE Google for Entrepreneurs 2-Day Workshop in Manila this Week! FREE Google for Entrepreneurs 2-Day Workshop in Manila this Week! Want to learn more about digital technology and how you can use it to boost your business? 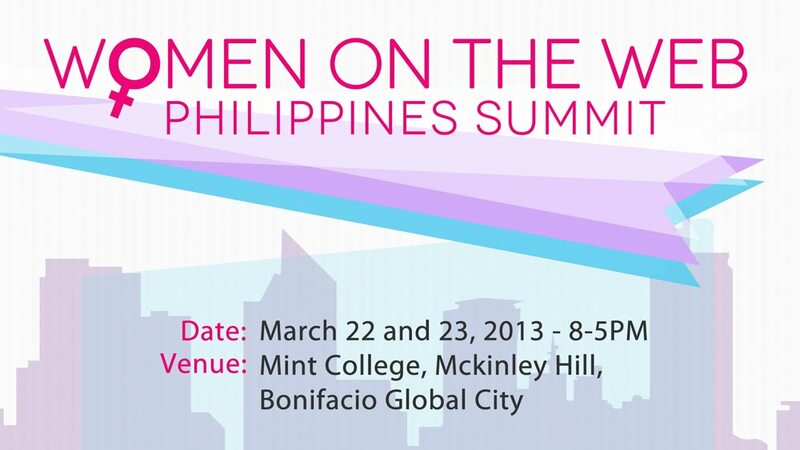 Sign up for this Google for Entrepreneurs Meetup - Women on the Web: Philippines Summit today! This is a 2-day FREE intensive workshop happening this Friday and Saturday from 8 a.m. to 5 p.m.! March 22 and 23, 2013 8 a.m. - 5 p.m.
Pre-registration is required so make sure you fill up the online form before March 21, 2013! Sign up on the link below. Click here to register for the Women on the Web Workshop.